Your gaming experience can be greatly influenced by the quality of your headset. 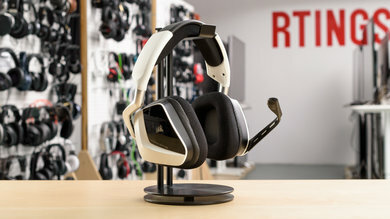 Whether you want to be immersed in a beautiful single-player game like The Witcher 3 or you're looking for your first Victory Royale in Fortnite with your squad, having the perfect gaming headset for your needs can make quite a difference. 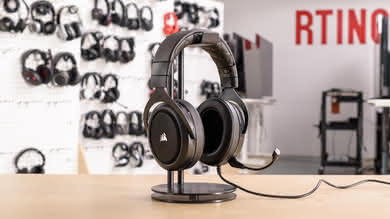 You should look for good sound quality, a comfortable design for long gaming sessions, and a microphone to be sure your teammates hear your callouts. If you don't need a microphone, we then suggest going for critical listening headphones. 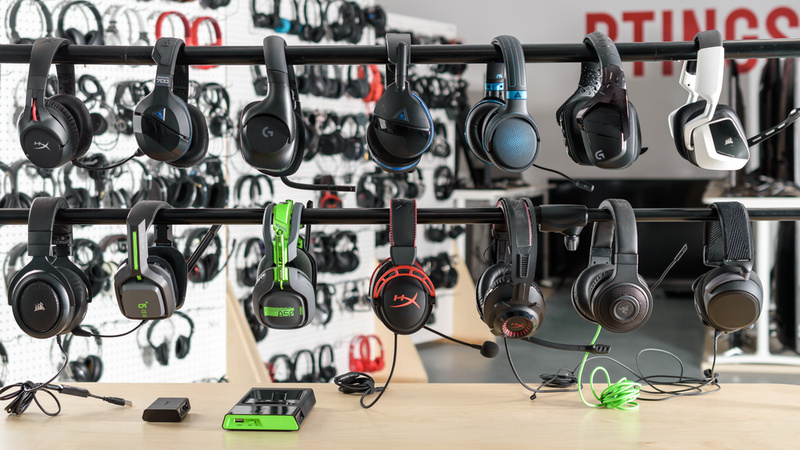 So far, we've reviewed 330 headphones and below are our recommendations for the best PC gaming headsets to buy in 2019. See also our recommendations for the best PS4 headsets and the best wireless gaming headsets. The best gaming headset for PC we’ve reviewed so far are the SteelSeries Arctis Pro GameDAC. They’re a very comfortable headset that you can wear for hours thanks to the porous and breathable padding on the ear cups. The headphones have a responsive control scheme and come with a great digital-to-analog-converter (DAC) that offers on-the-fly customization options right at your fingertips. The Arctis Pro sound great out-of-the-box and you can further customize their sound with either the GameDAC or the SteelSeries Engine software. The GameDAC covers most of the key settings, like EQ presets and LED lighting options, while the app provides even more customization options, like live mic monitoring. The Arctis Pro GameDAC have an excellent boom microphone, perfect for online gaming with friends, and it's also retractable so it won’t be in the way when you don’t need it. The Arctis Pro GameDAC are wired headphones, so they have a negligible amount of latency, which is great for gaming and watching movies on your PC. However, some may find it inconvenient to have a long cable trailing on their desk. The SteelSeries Arctis Pro Wireless are a great wireless option, but they’re more expensive and may not be worth the investment, especially for PC gamers. Overall, the Arctis Pro GameDAC offer one the most complete gaming packages for PC and are an easy recommendation for PC gamers looking for a high-end headset. If you’re looking for a VR-like experience to fully immerse yourself in the game you're playing, get the Audeze Mobius. They don’t have as many customizable sound and mic options as the SteelSeries Arctis Pro GameDAC, but they have head-tracking and a 3D audio features, which create a spacious virtual soundstage. Unfortunately, we couldn’t accurately capture these effects with our current tests, but you can check out our video review to experience the 3D audio for yourself. The Audeze Mobius support Bluetooth 5.0, but their Bluetooth connection has a lot of latency, which makes them a poor choice for wireless gaming. They also only get about 8.5 hours of battery life with Bluetooth and 3D audio enabled. On the upside, they remain wirelessly connected to your smartphone while using them wired with your PC so that you can still receive calls while gaming. If you prefer wireless headphones that use a USB transmitter for low-latency gaming, consider the Razer Nari Ultimate, which have an immersive haptic feedback system that can help enhance your gaming experience. However, if you’re looking to experience the best gaming soundstage, there's nothing quite like the Mobius. 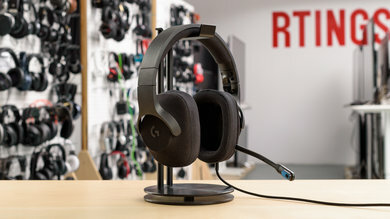 If the SteelSeries Arctis Pro GameDAC and Audeze Mobius are a bit too expensive for you, then the best gaming headset for PC we’ve reviewed in the mid-range category is the Logitech G933. These comfortable wireless gaming headphones are highly customizable, since they have 3 programmable buttons on the right ear cup, and their companion app provides a wealth of settings you can tweak. 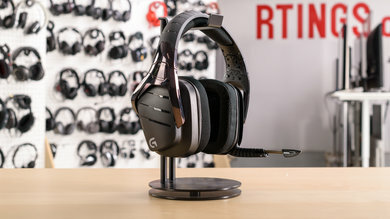 The G933 are compatible with the Logitech Gaming software which offers a ton of customization options like a graphic EQ, surround sound effects, microphone and volume levels, as well as swappable profiles with saved personal settings. You can set your personalized profiles to the programmable buttons and switch between them on-the-fly depending on what game you’re playing. They have great low latency wireless connection with their USB transmitter and are compatible with PS4 as well. On the downside, their battery life isn’t the best at 12 hours with RGB lighting off. They also take nearly 4 hours to fully charge, which is a bit high even for a gaming headset. Thankfully, they have an adjustable auto-off timer to help save power. You can also use them while they charge if you don’t mind having a wired connection for a bit. 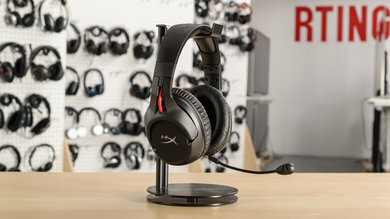 If you’d like your gaming headphones to function as your go-to everyday headphones as well, get the HyperX Cloud Flight. They’re not as customizable as the Logitech G933, but they have a more versatile, casual design. They have an outstanding detachable boom microphone and have a balanced sound that’s well-suited to not only video game effects but a wide range of music genres too. They have an excellent battery life of nearly 30 hours and support passive playback, so you can use them wired with your smartphone. Unfortunately, the HyperX Cloud Flight don’t come with an in-line microphone and their integrated microphone can’t be used when wired. You also can’t use them wirelessly with your mobile devices since they need to be in range of their USB transmitter to function wirelessly. If you really like their design but would like to be able to use them wired with a microphone, you can purchase a 1/8” TRRS audio cable with an in-line microphone. If you’re looking for a gaming headset that has a more unique gamer-centric design with a comfortable fit, get the wireless Corsair Void RGB. They don’t sound quite as good as the Logitech G933 and they feel a bit more cheaply made, but they have a cool look that stands out. True to their name, the Void RGB feature RGB lighting on the cups and have a futuristic style that is also quite comfortable. They’re well-built headphones with nice padding covered in porous fabric that is decently breathable. They don’t clamp down too hard, which makes them comfortable for long gaming sessions, and have a good wireless range—perfect for gaming from the couch. Although most gaming headphones don’t isolate very well, the Corsair Void RGB have particularly poor noise isolation and leak more sound than the other recommendations on this list. They’re best-suited for gaming in a quiet room alone or with people who don’t mind hearing your game coming out of the headphones. The microphone is good, though, and the Corsair Utility Engine app for Windows offers a fair number of customizable features, like a graphic EQ. If you like the design, the Corsair Void RGB are decent gaming headphones overall. If you’re looking for a good gaming headset for PC without having to pay a premium price, get the Logitech G433. They’re reasonably well-built headphones that come with two sets of comfortable and porous pads and 2 audio cables, one with an in-line remote and one with just a volume dial. They even come with a Y splitter and a USB adapter. The G433 is a great-sounding headset with an even and flat sound. 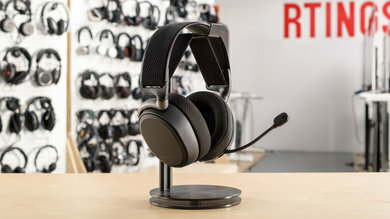 When connected to a PC via USB, you get access to the Logitech Gaming software for various sound and microphone customization options. The USB wired connection also has negligible latency which is suitable for gaming. The detachable boom microphone is excellent, and voices sound full and detailed. Unfortunately, the Logitech G433 doesn’t have very deep ear cups, which means some people might feel their ears touch the headphone drivers. This can be fatiguing after a while, especially during long gaming sessions. 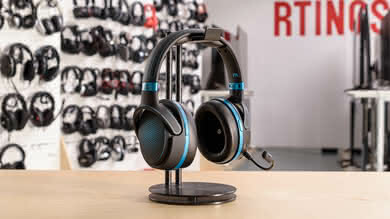 However, the Logitech G433 are still good entry-level gaming headphones for PC and provide great value overall. If you like the casual design of the Logitech G433 but want a slightly better-built headset for around the same price, get the Corsair HS60 instead. They might not have RGB lighting like the Corsair Void and they aren’t wireless, but the HS60 provide great value for their low price point. They have great build quality and have a well-padded headband and earpads for long gaming sessions. The HS60 have a good default sound profile, and are also compatible with the iCUE software and give you access to presets and an EQ. On the downside, their microphone performance is a bit disappointing for gaming headphones. It should be fine for most gamers but doesn’t sound as clear as the mic of the Logitech G433. People with glasses might also have reduced bass performance if they can’t get a good seal. Nevertheless, the HS60 is one of the better-built budget gaming headsets we’ve tested so far, and it offers great performance for an affordable price. Our recommendations above are what we think are currently the best gaming headsets for PC to buy for most people in each price range. We factor in the price (a cheaper headphone wins over a pricier one if the difference isn't worth it), feedback from our visitors, and availability (no headphones that are difficult to find or almost out of stock everywhere).